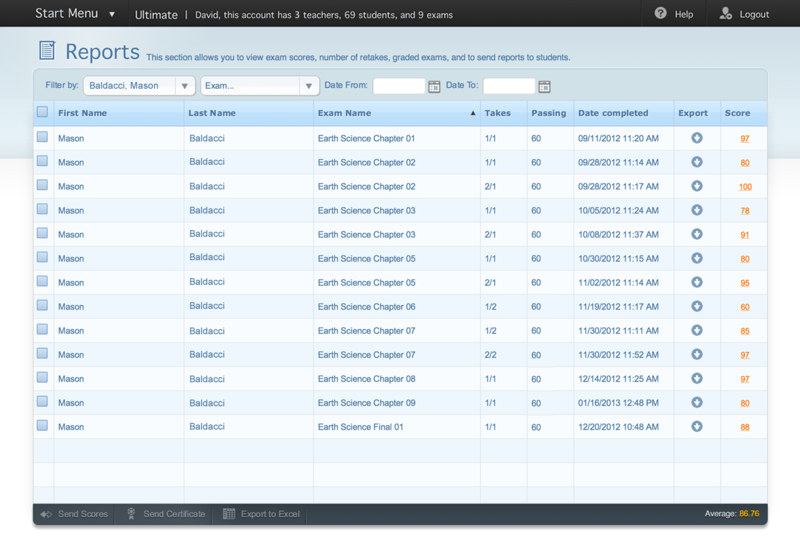 A quick look at what we think are priorities in our development, as well as approximate percentages of completion. 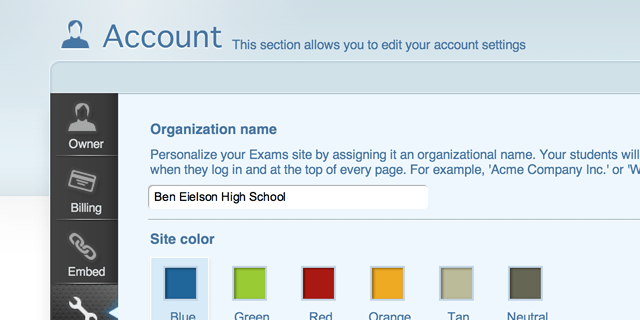 Added annual and biennial plans, logo upload for student login screen and email headers. 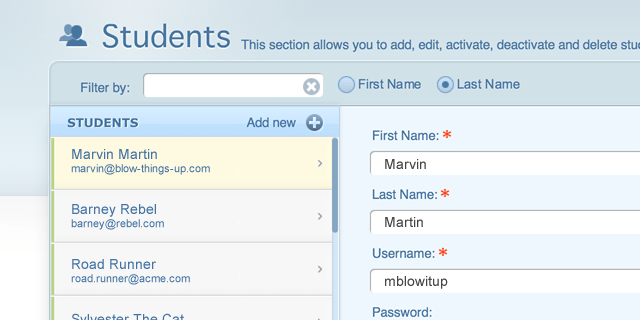 We also added ability to send sales to your Stripe or PayPal account. 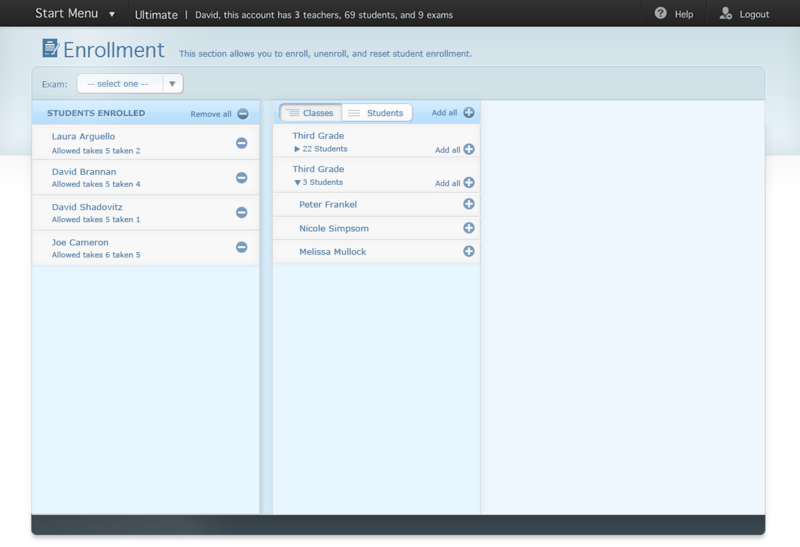 Added send certificates, new interface, regrade, and filter reports by class, student, exam, or date range. 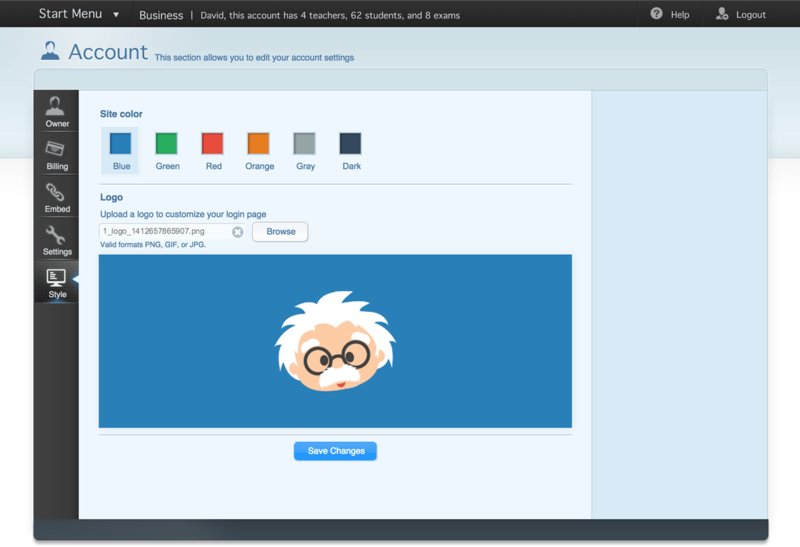 View all your sales in one place, print off invoices, get totals, see associated fees, and collect payments to your Stripe or PayPal account manually or automatically. 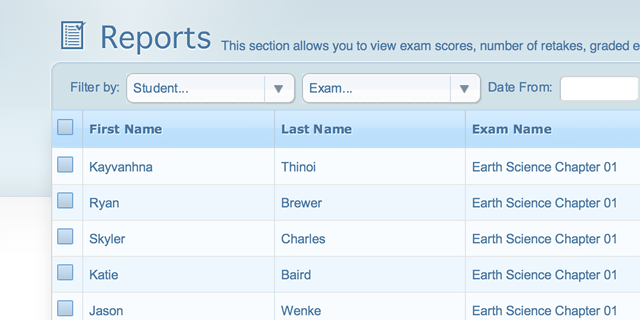 New method to import CSV text files, and applied new interface. 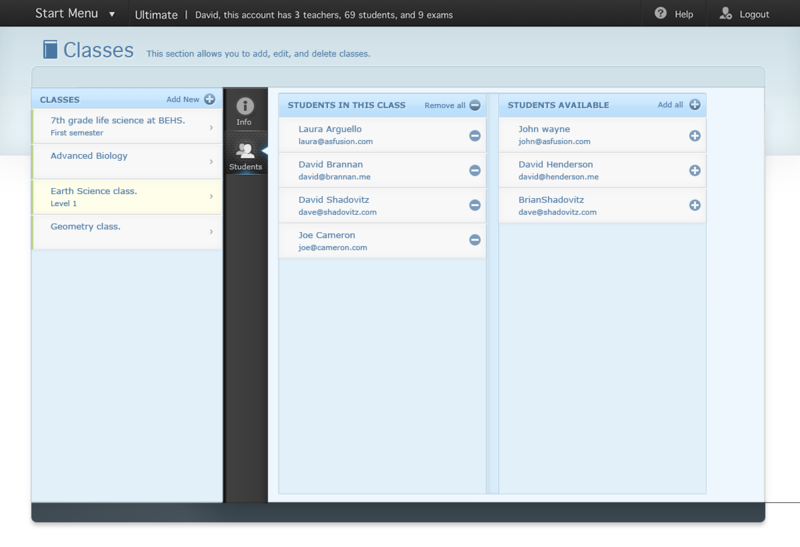 Teachers now have 3 different roles as admin, additional teacher, and student managers. 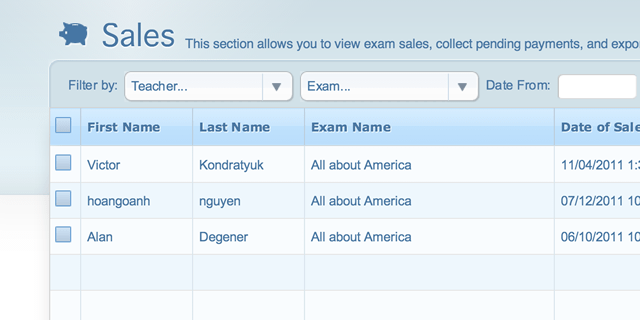 New method to import CSV text files, and applied new interface. 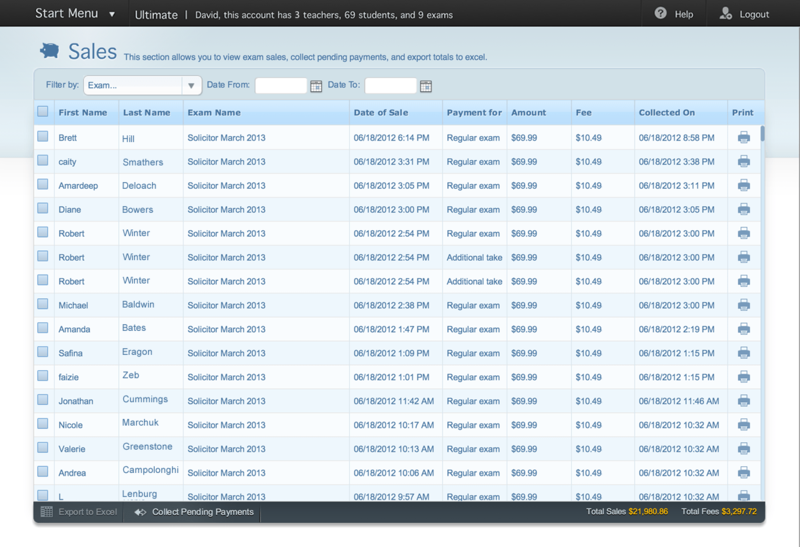 Teachers can now view self-registered students that have paid for exams. 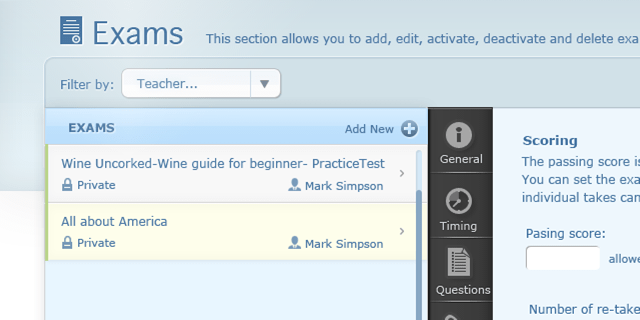 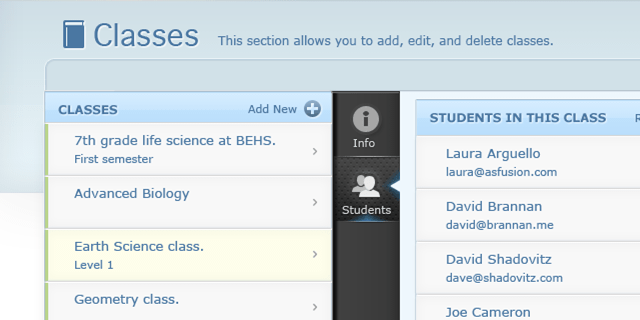 We applied a new interface, modernized the backend code, and added the ability to send login info to the whole class. 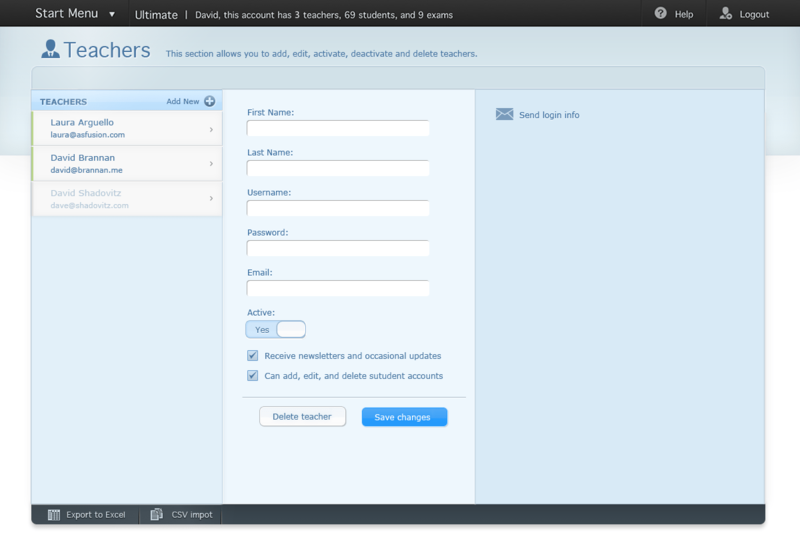 We have enhanced the user-experience and easy of use. 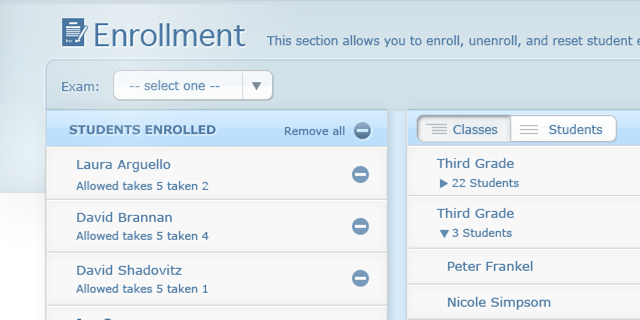 We still wish to add multi-student actions, like mass send enrollment emails. 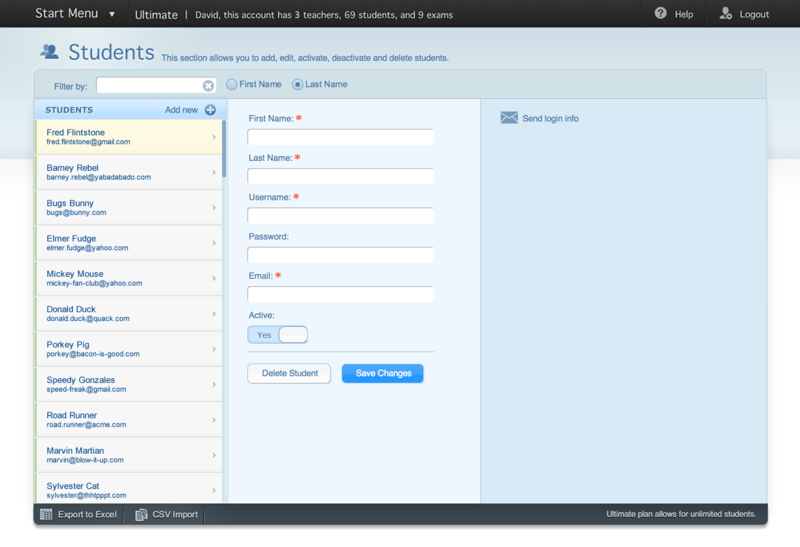 We have enhanced the user-experience and easy of use. 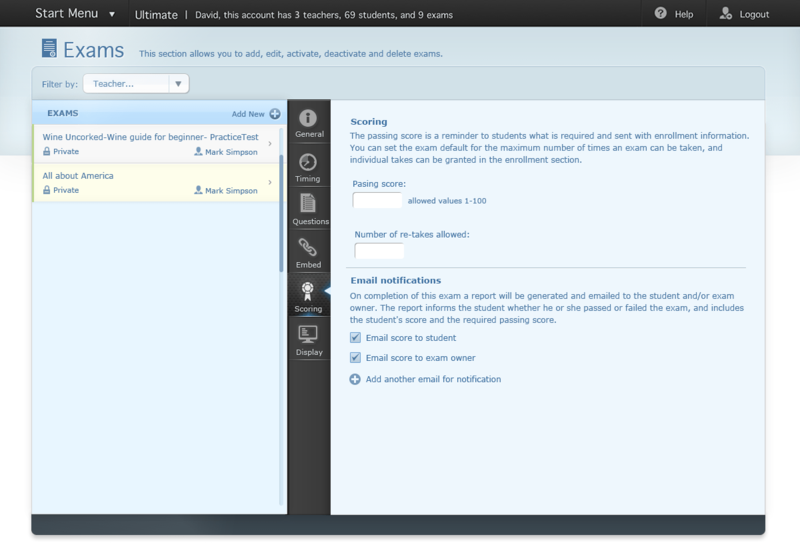 We will be revisiting this section to add features during rebuild of the student exam interface. 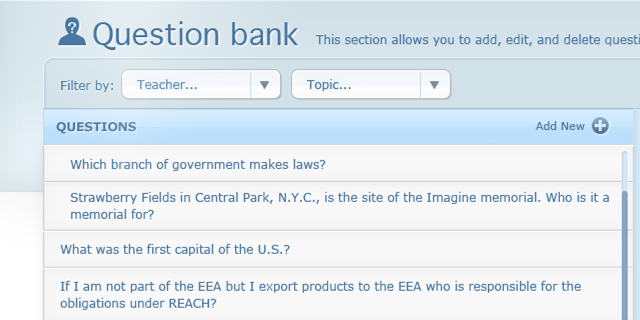 Still to do: 6 additional question types, question sharing between teachers, and select from categories. 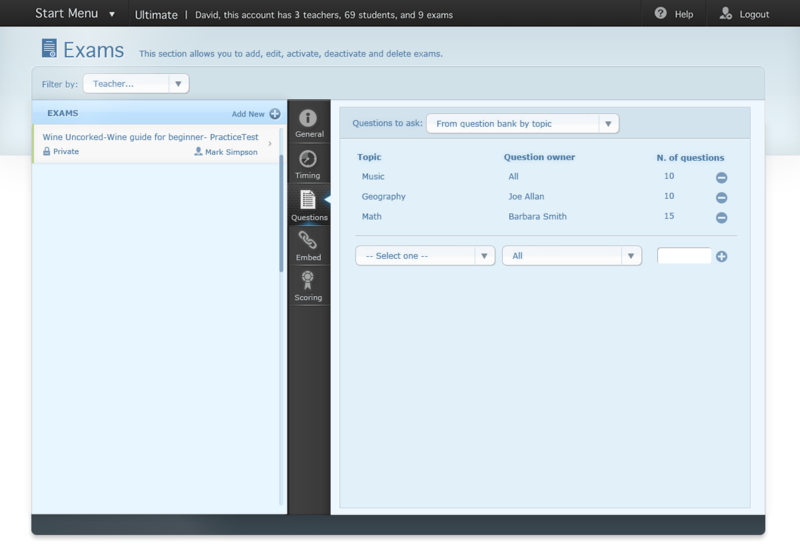 We will be adding the ability to store, search, and find question by tags. 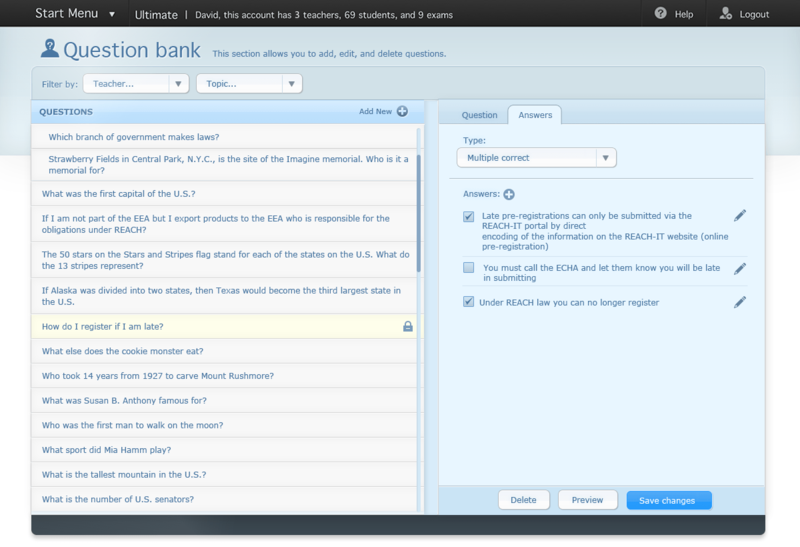 Teachers will be able to select from, share, and select questions from the bank. 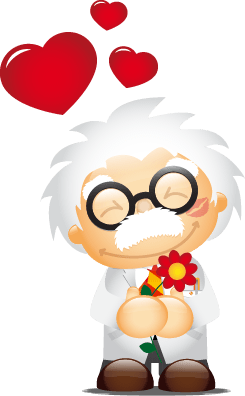 We know you have great ideas, and we would love to hear them. 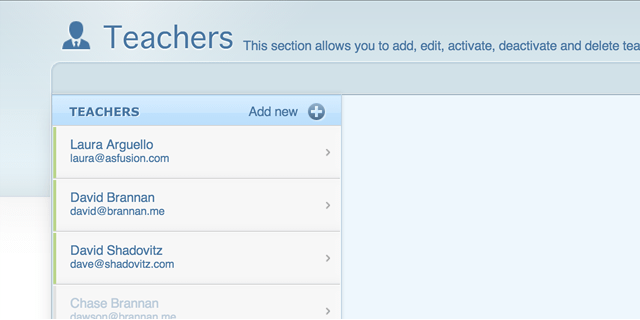 If you have a suggestion for an improvement or a new feature. 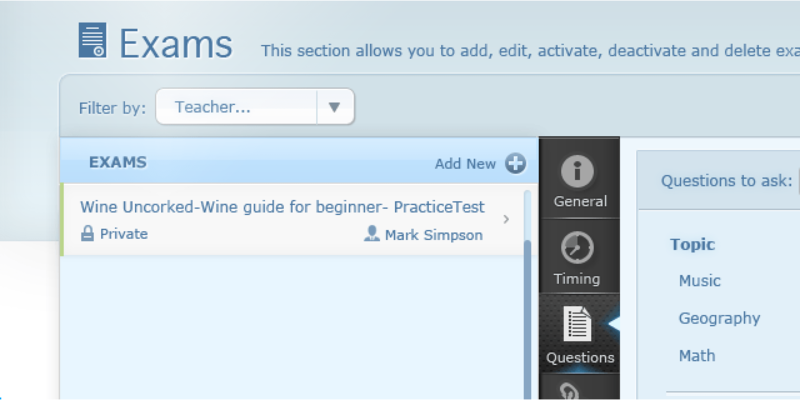 Please tell us about it.